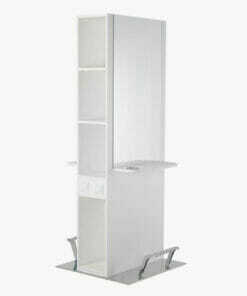 Fantastic two position Island Unit with integrated footrests, storage space and two electrical sockets. 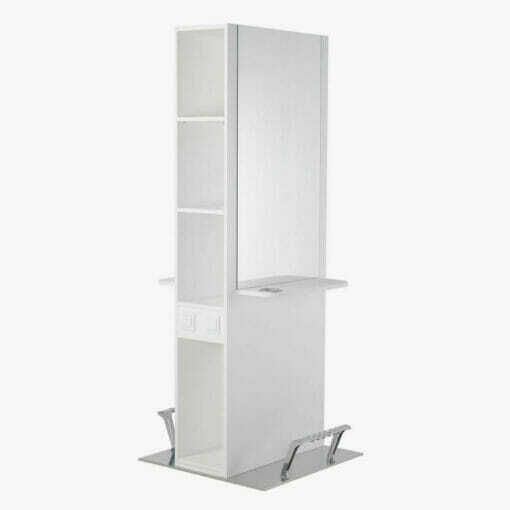 Mila Selene Island Styling Unit comes on a stainless steel base as standard with integrated footrests, large storage area and has two electrical sockets. 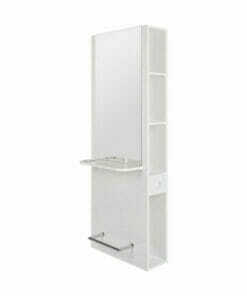 The 2 Position island unit lets you use space in the most efficient way. 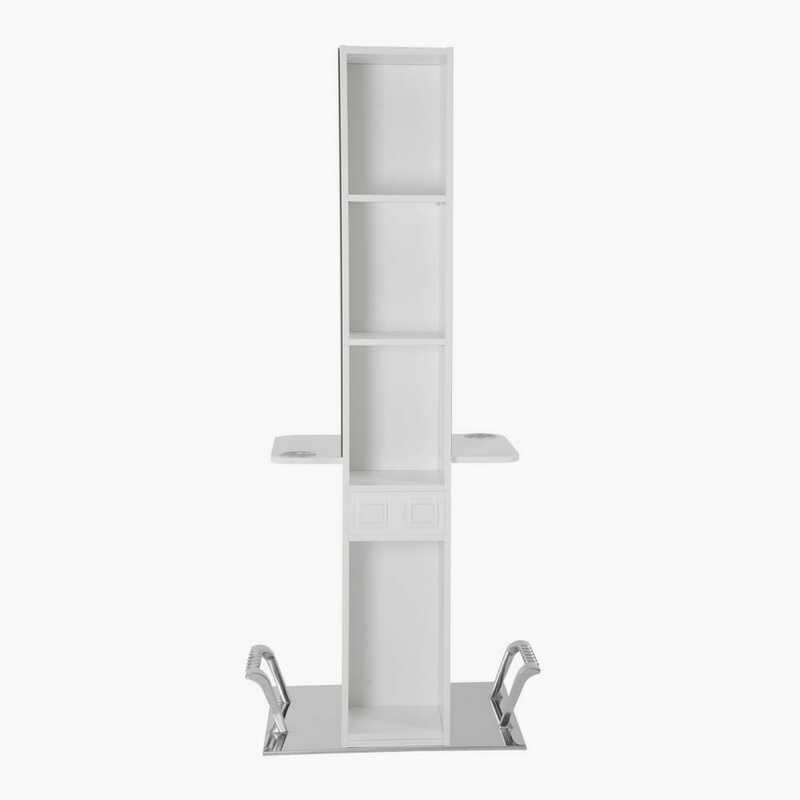 It has storage space in the middle either to store your everyday products and tools or this space can be used to make an attractive retail display for customers to browse. 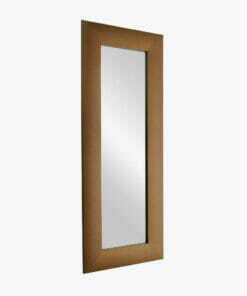 The unit can be finished in a choice of laminates. 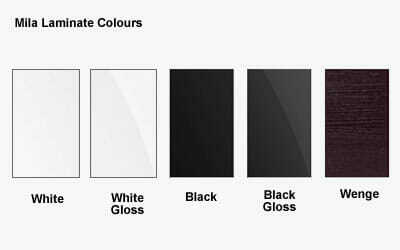 Please choose your laminate by selecting from the drop down box. 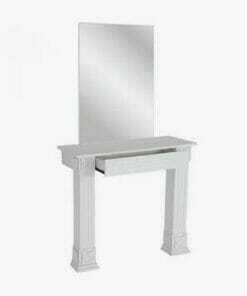 Please note, gloss laminate colours will incur an additional charge. 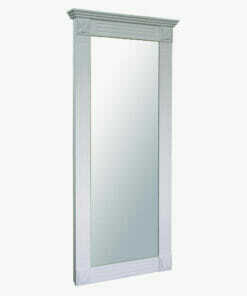 A two position island unit with an illuminated front, mirrors and two electrical sockets. 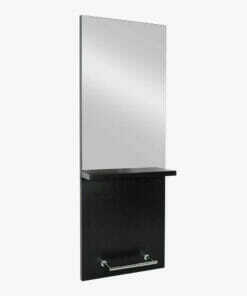 A styling unit with a full length mirror and a wooden shelf which can be finished in a choice of laminates. 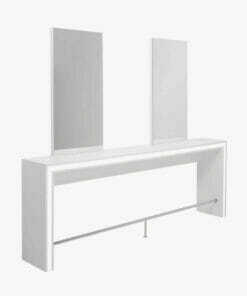 Fantastic wall unit with integrated footrest, storage space and electrical twin socket. 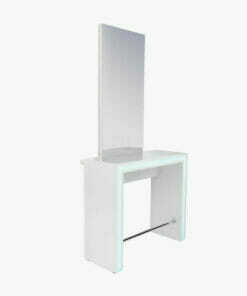 The Mila Show II Wall Styling Unit comes as standard with an integrated footrest. 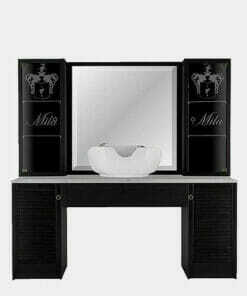 Mila Vintage Barbering Unit with backwash basin, marble top, glass shelves and back lighting. 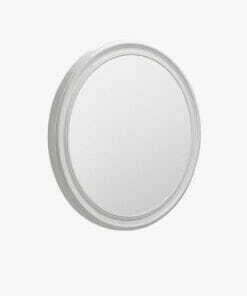 Mila Palace Wall Styling Unit Mila Palace Styling Mirror Unit, beautifully constructed large circular wall styling mirror with white lacquered frame. Dimensions 120cm x 120cm, depth 9cm. 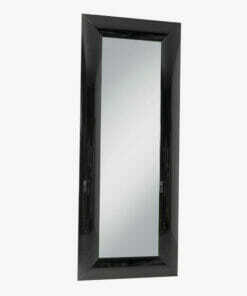 Styling mirror with a lacquer frame and available in either White or Black Gloss. 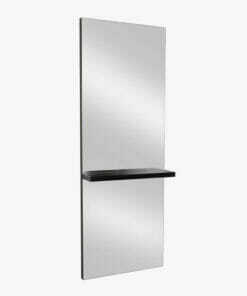 The Mila Stella Wall Styling Unit is a full length mirrored unit with a upholstered frame. 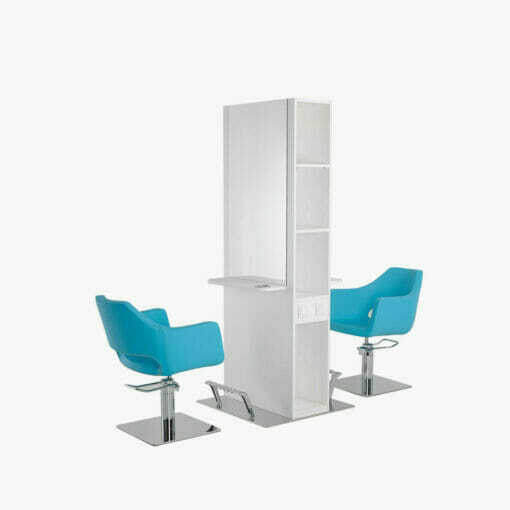 Beautifully made piece of salon furniture with an elegant integrated footrest. 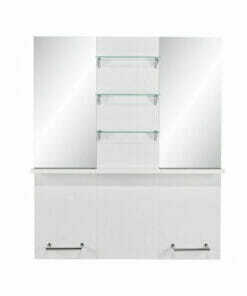 Styling link unit featuring glass shelves and available in a choice of laminates. 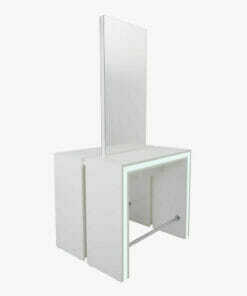 Styling Unit featuring shelf and a integrated footrest and available in a choice of laminates.